Homily (Sermon) – Go in peace, glorifying the Lord by your life. 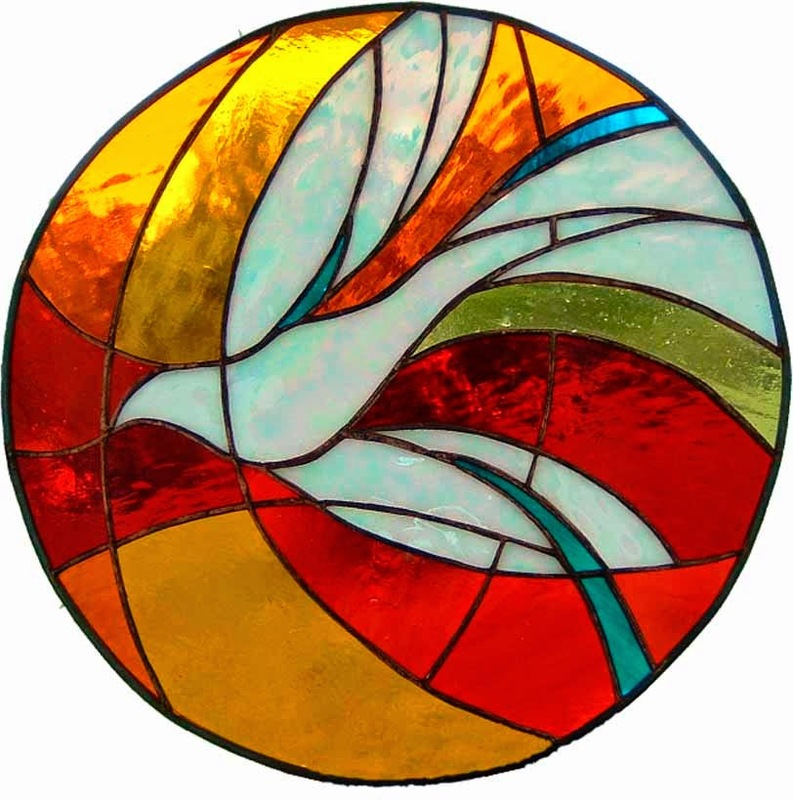 Today we celebrate Pentecost the giving of the Holy Spirit, as power as tongues of fire, as gentle as Christ’s breath. A gift for the disciples and every Christian who has followed in their footstep, A gift to everyone here. As with any gift you have to decide what to do with it. You have received this gift from God. Have you put it to good use or have you left it unused at the back of the proverbial wardrobe. When I was in formation for the deaconate, we spent a weekend away in Salisbury studying Canon Law. That weekend I remember Gail, my wife, wasn’t able to come with me and I was feeling a little lonely. The subject though necessary wasn’t inspiring me and all the questions about whether I was really called to the deaconate were running round my head. At Pentecost Christ gave the apostles the gift of the Holy Spirit, you have that same gift, I have that same gift. Our difficultly is often working out what we are called to do with it. Pope Francis wants us to be a people of the risen Christ, filled with love and joy. A people ready to embrace and care for the world. A people to take Christ’s message to the world. You are called to do just that. We can learn a lot from the Jewish traditions that the first Easter and Pentecost were part of. The saving act of Christ’s death and resurrection at Easter was at the time of passover, the celebration of God saving the Jewish people from slavery in Egypt. Christ completed that act by saving everyone from sin and death. There are 7 weeks, 50 days, between Easter and Pentecost. There are seven weeks between Passover and Shavuot, the Jewish festival of weeks. During this time the Jewish people studied the Law of Moses, the Law given to them by God to guide them and protect them. At the end of the seven weeks they celebrated Shavuot, the celebration of God giving them the Law on Mount Sinai. We celebrate Easter for 50 days, we live and study with the risen Christ, we prepare for our sending into the world as the disciples were sent on the Pentecost morning. One tradition of Shavuot is that men would gather together to study the law all night without sleep. It was also a festival of pilgrimage when people would journey to Jerusalem. You can start to see the background of the Pentecost readings we know so well. As the disciples gathered together after all that had happen, years of travelling, preaching and miracles with Jesus, His death, His resurrection, His ascension. They reflected on his teaching, the Law, their calling, what they were going to do next. In the midst of this Christ’s appeared and gave them the Holy Spirit. The gift given to every Christian. The gift that enables us to work for Christ, to work as Christ in today’s world. They poured onto the streets and started their work immediately. All who heard them heard them understood them. That’s a message for us today, we have to speak in a way that will be understood. One of my favourite quotes is attributed to St. Francis of Assisi, “Preach the gospel everyday and when necessary use words.” Being understood isn’t really about language. If you want to teach those close to you about love, then love them. If you want to teach about joy, then be joyful. If you want to teach about charity then give, if you want to teach about peace then be a peacemaker, if you want to teach about Christ then be Christ, be a Christian. I ask you today, not to pray for the Holy Spirit to come, because He is always with you, but to pray for the strength to go out into the world with the Holy Spirit. God is calling you, Christ is sending you, the Holy Spirit is with you. Go in peace, glorifying the Lord by your life.